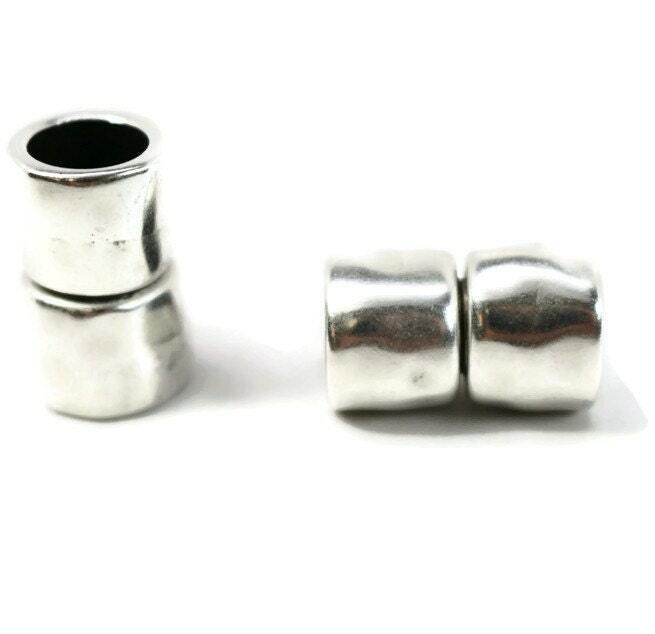 This listing is for one (1) 10mm round Magnetic Clasp in Hammered Silver. 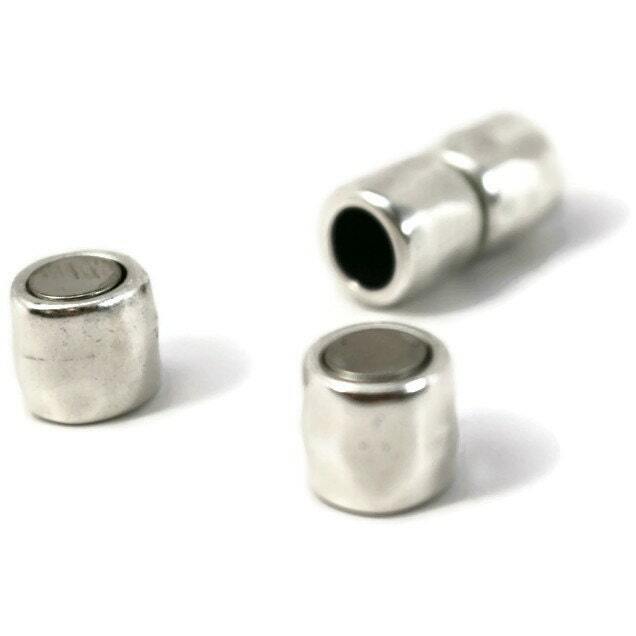 The clasp can be used with all round 10mm cords. Other vendor was "out of stock" for these, think I'll switch vendor to this seller because of selection, price and availability. Very nice clasp for larger braids. Fast shipping. 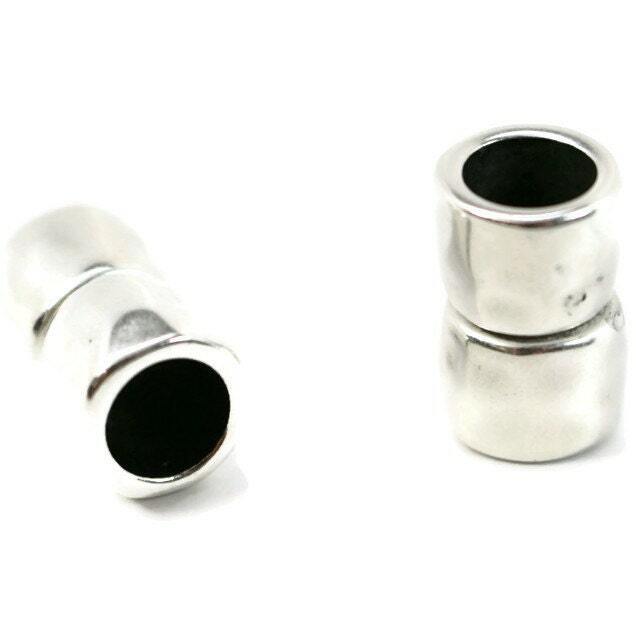 These are exactly as pictured strong magnetic clasps. They are very good quality. Beautiful clasps just as pictured. Super fast shipping and excellent quality. Thank you!